Prices vary from shop to shop, depending on the type and length of cut. You've probably noticed that you can pay anywhere from $10 to well over $100 for a haircut. How do you know if you're getting ripped off or getting what you paid for? Here's the lowdown — from the low-end to the high-end — so you'll know just how much to pay for your next cut. What are the average haircut prices? The average haircut costs about $45, according to the Professional Beauty Association, an organization for beauty industry professionals. 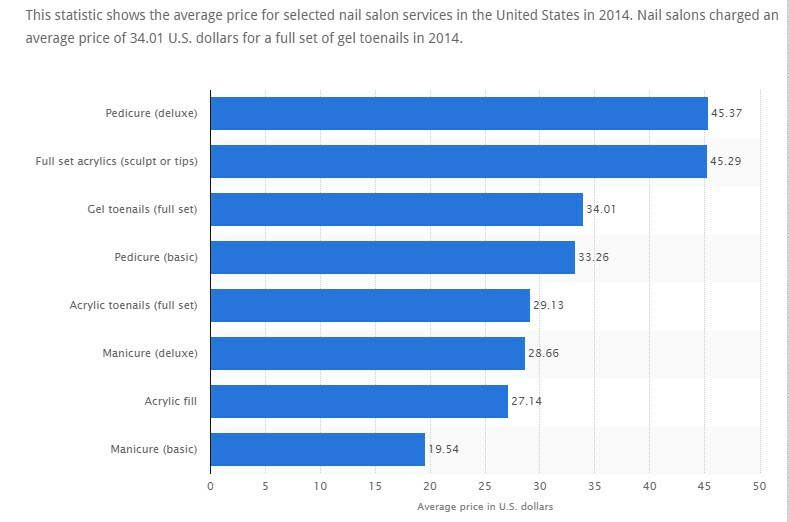 While that may be the national average, the actual cost of a haircut ranges far and wide. A barber at a local mom-and-pop shop may charge as little as $10, while top-notch hairstylists in NYC can charge $600 or more. What extras can I pay for along with my haircut? The reason for this disparity often boils down to the type of salon and the experience it provides. Some places cut your hair in a few quick minutes and lead you straight to the door. Other high-end salons involve a whole process of cutting, blow drying and styling that's nothing short of a work of art. Some even provide drinks, such as cappuccinos and lattes, to sip on while you wait for your cut. Often, the cost of a haircut depends on the time spent on your hair and the products used. When a salon uses pricey, high-end products and takes an hour to complete one haircut, they can't possibly charge $10. Others prioritize speed and convenience, and can charge less. Does a more expensive haircut mean a better one? While you should take a good look at a salon when evaluating its prices, keep in mind that hairdressers vary from salon to salon. Just because a place charges $100 for a haircut doesn't guarantee a great cut. You may go to a high-end salon and get scalped, and go to a hometown salon and receive the best cut of your life — or vice versa. You need to find a hairdresser who you can communicate with easily and understands what you want. You may find this stylist in a high-end salon or (if you're lucky) at a cheaper salon. It may take a bit of experimenting to find the right hairstylist for you, but you can shorten the process by asking your friends and family for recommendations and going in for a consult before getting a cut. How much do you want to spend on a haircut? The right price for a haircut ultimately depends on how much you are willing to spend. Do you consider paying more than $10 for a haircut absolutely ridiculous? Then you probably won't ever set foot in a high-end salon that charges $100 for a cut. MORE: Are You Paying Too Much For Your Haircut? In short, pay whatever makes you feel comfortable. If you feel like you're being ripped off and aren't completely happy with your haircut, switch to a different salon. With a bit of trial and error, you'll find the right combination of price and quality that works for you.